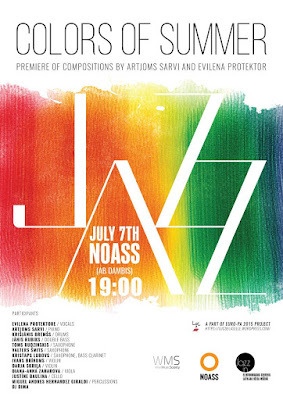 A premiere of compositions by Artjoms Sarvi and Evilena Protektore. 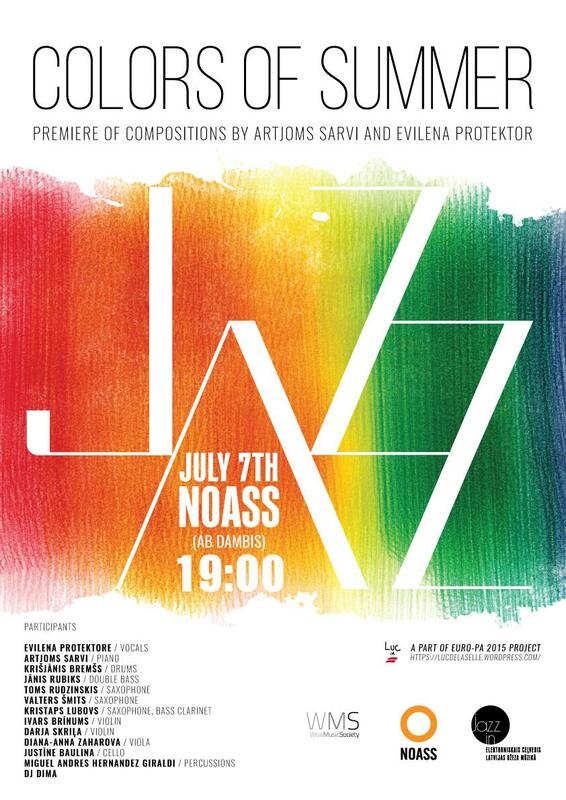 On July 7th Evilena Protektore and Artjoms Sarvi will present a new program consisting only of tunes composed by the two musicians. 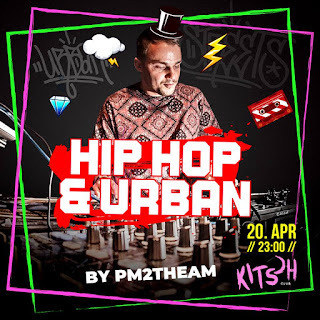 Demonstrating their view on what colors the summer has they will guide the listener through their deep inner world of music. Colors of Summer will feature a wide range of instrumentation - starting from a small lineup and up to 13 musicians.